Super storm Sandy is not something New Jersey will soon forget. The rebuilding process has in a lot of ways really just begun. The Jersey Shore was devastated and homeowners around the state were flooded out of their homes. Bankruptcy can help. One client recently retained my firm after flooding four times over the past several years. Each time this family had to begin at ground zero. Mentally they could not bring themselves to remain in this situation. They will file bankruptcy because the years of flooding have taken such a mental and financial toll. While some homeowners will file bankruptcy because they need to walk away from their beloved homes, others will file bankruptcy to eliminate second and third mortgages (while staying in their homes in the hope that they do not flood again). The average New Jersey family (based on my opinion) is only steps away from bankruptcy. Some spend thousands to try to modify their home loans while others spend thousands on debt consolidation scams. Please explore your bankruptcy options before making any final decision as it could save you thousands of dollars while giving you the fresh start you and your family deserve. Although you cannot control the weather (and storms like Sandy) and what Congress may do next to further cripple the economy, you can consider putting your family on the path to financial freedom. New Jersey Student Loan Debt Continues To Rise, So What Are You To Do? Student loan debt continues to rise with no end or solution in sight. I am now seeing parents coming in after having made the financial decision to give up their homes in order to pay for their children’s education. These families have decided to stop paying their mortgages so they can assist their children with tuition. It really is quite sad that the American Dream of owning a home has to be replaced with the dream of having our children go to college. Bankruptcy may no eliminate student loan debt (in 99.9 percent of cases but it can eliminate credit card debt and in some cases second and third mortgages so that there is more household money available for education. See the link below which is an article about NFL players and student loan debt. (Remember football players do not know they will make it to the big time when they are in college.). You and your children are not alone with mounting student loan debt. If those making hundreds of thousands of dollars are carrying and dealing with student loan debt how is the average Joe suppose to manage? At least the person making the hundreds of thousands of dollars will have the financial ability to payoff their student loan debt. The financial crisis is not over for the average American on Main Street, USA. Payroll taxes are increasing this month. That mean the average Joe was not saved from the fiscal cliff. Can you afford to go without another $100.00-$200.00 a month? Congress continues to take care of themselves. Take care of your family by get a fresh financial start. 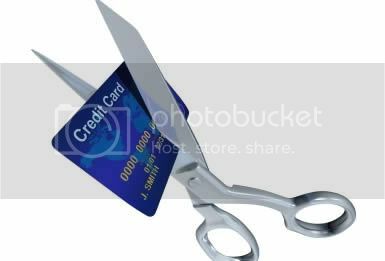 Bankruptcy may not increase the money coming into your household but it can limit the amount going out each month. Start your New Year off right!! Take your first steps towards financial freedom. The best debt consolidation program is bankruptcy.